Boeing is dismantling this former 787 test aircraft, line number 5, part of the early overweight group known as the “Terrible Teens”, at Paine Field in Everett, WA. 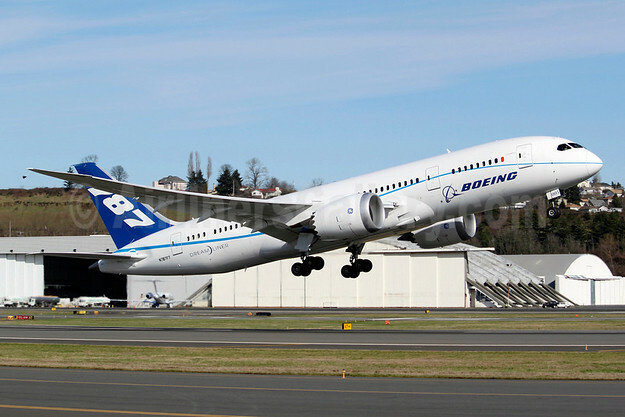 Number five, the pictured N787FT (msn 40694), built in 2009, is in the process of being broken up by a contractor. The aircraft had sat at PAE for years in a derelict condition after the type received its FAA type certification. The airframe was just too heavy to have any chance of being resold. Most of the “Terrible Teens”, as they were known, eventually found buyers, albeit at a discounted price. According to the Seattle Times, the dismantling is being used as a teaching method on how to recycle aircraft and aircraft parts made of carbon fiber. A contractor is disassembling the prototype airframe. Attached are photos of this airplane seen at Boeing Field (BFI) in 2011, when it was doing flight tests for the certification.